So I'm still on this minimal Thanksgiving thing, but I'm really feeling it. It's crisp, clean, happy, and still so Thanksgiving-y. It's a word. Go with it. 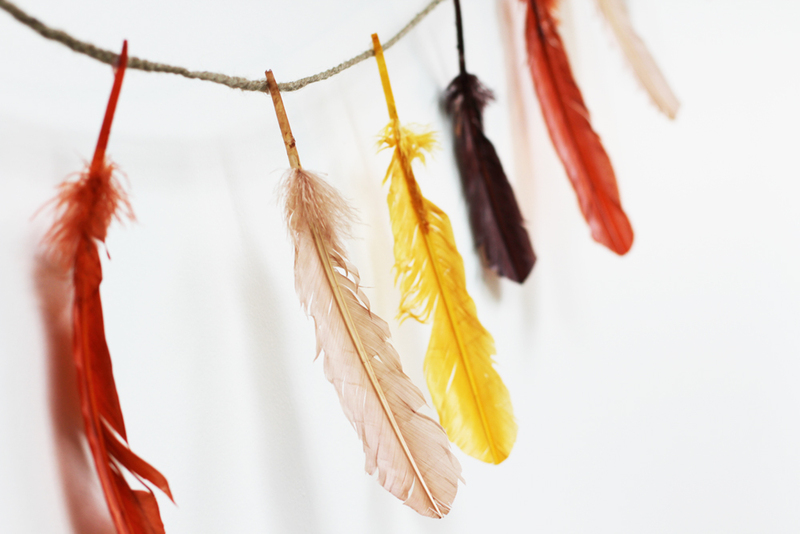 I made this garland with feathers from Michaels, hot glue, and twine. It's super easy to make which is always fabulous and it's pretty too. Tutorial below! 1. Lay your twine or rope down on your table and position your feathers every 6 inches or so. 2. Dab some hot glue on the end of your feather and press down to the rope. Just make sure all your feathers are facing the same direction so it lays flat against the wall. 3. Hang with 3M removable wall hooks.